When you purchased your needlepoint design, you may have imagined it as a lovely Christmas tree ornament. However, once you finish stitching the needlepoint design, you may be wondering how to fashion the canvas into an ornament. Finish your needlepoint design by creating a miniature pillow with ribbon hanger. Hang the needlepoint ornament on your Christmas tree, or give it away as a gift or creative gift tag on a wrapped present. Cut out the needlepoint design. Leave a margin of 1.5 inches on all sides. Place the cut-out design face down on top of the wrong side of a piece of fabric. Pin in place. Cut the fabric to match the needlepoint cut-out. 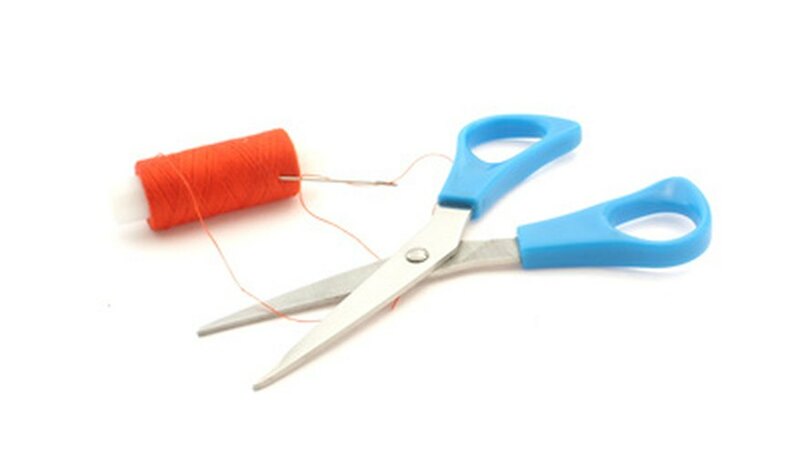 If necessary, trace around the needlepoint cut-out with a fabric marker before cutting. Stitch the sides and bottom edges of square or rectangle ornaments. For circular ornaments, stitch the perimeter, leaving a 2-inch opening. Stitch with a half-inch seam allowance (one-half inch away from the edges of the fabric). Turn the pillow right-side out. Iron flat. Stuff the pillow ornament with polyester fiberfill. Hand-stitch the opening closed. Fold a 6-inch piece of ribbon in half. Hand-stitch the ends of the ribbon on the top of the ornament to form a hanger loop. To embellish the edges, hot glue beads, ribbons, sequins or soft fringe around the ornament. For additional embellishment and texture, highlight parts of the needlepoint design with squeezable shiny, pearly or glittery fabric paint.